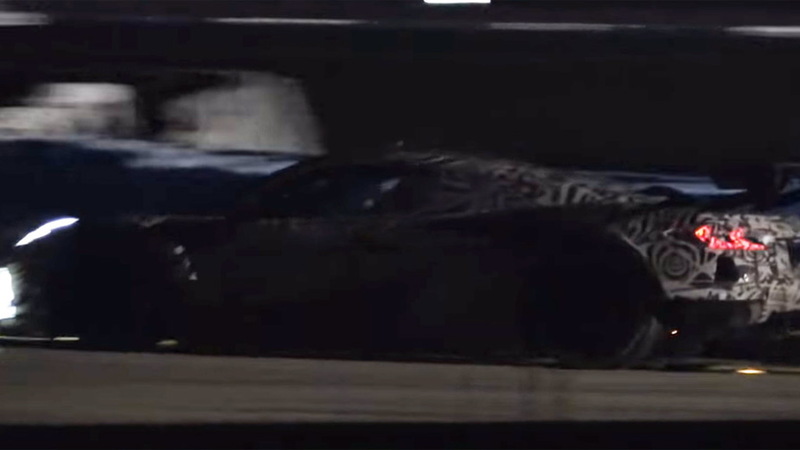 The new race car based on the yet-to-be-revealed mid-engined C8 Chevrolet Corvette has been spotted. 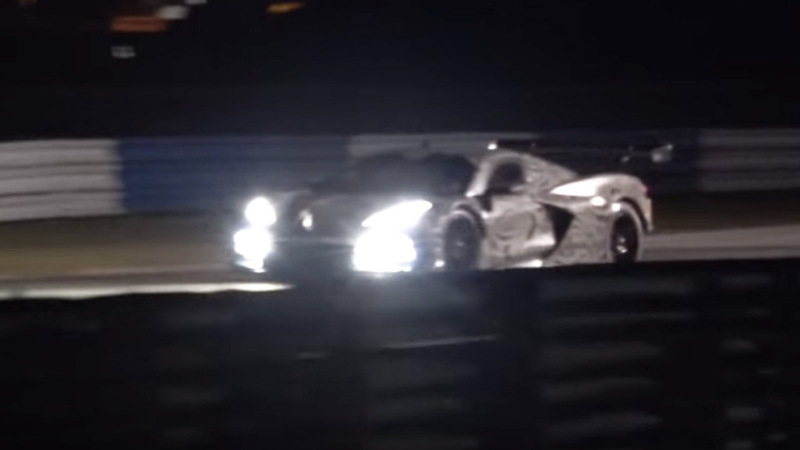 Prototypes have been undergoing tests at major racetracks under the cover of darkness in order to hide their details, and a video of one of the test sessions, taken at Florida's Sebring International Raceway, has been uploaded to YouTube. The road car is almost ready for the auto show spotlights. A debut at next month's 2019 North American International Auto Show in Detroit is highly likely, as the latest prototypes (shown below) are wearing much less camouflage gear than before. From the few glimpses we get in the above video, the race car will closely resemble its road car counterpart. The design is very aggressive and details like the taillight graphic can clearly be seen. 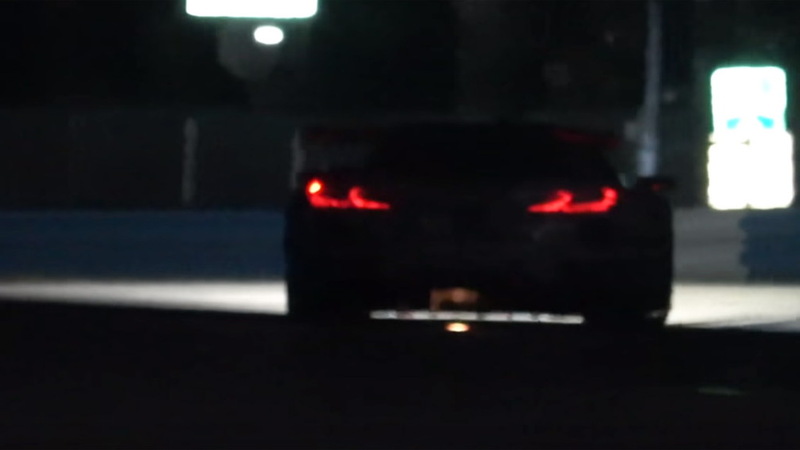 Sorry Corvette die-hards, the round taillights aren't coming back. The new race car will likely follow the ".R" naming scheme of previous generations, thus it should be called the C8.R. It will replace the current C7.R in the GT class of the World Endurance Championship and GT Le Mans class of the WeatherTech SportsCar Championship, though the changeover isn't expected to happen until the start of the 2020 motorsport season. Rival race cars are based on the Aston Martin Vantage, Ferrari 488, and of course the Ford GT. 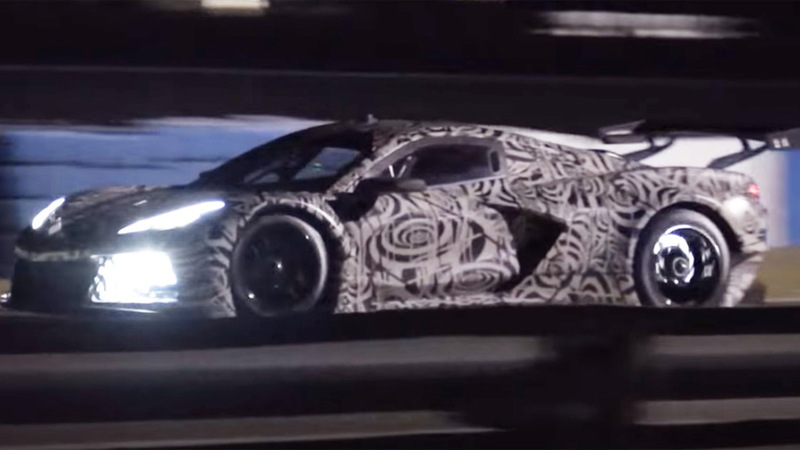 While the C7.R runs a naturally aspirated 5.5-liter V-8, the C8.R is rumored to be running a turbocharged V-8, possibly with the same 5.5-liter displacement. The engine's tone is very similar to the Ford GT race car, yet deeper, since a V-8 is almost certainly present. A report from May suggested the road car will sport three engines, one of them being a twin-turbocharged 5.5-liter V-8. If the rumor proves true, a race-prepped version of the 5.5-liter twin-turbo V-8 could be the engine in the C8.R. The other engines destined for the road car are expected to be an uprated version of the current Corvette Stingray's 6.2-liter V-8 and a naturally aspirated 5.5-liter V-8. A hybrid setup with over 1,000 horsepower is rumored for a future range-topper possibly dubbed the Zora. Chevrolet has not confirmed any information, nor has the brand acknowledged the mid-engine Corvette's existence.